Like with "what happens after you die?" and "do we have free will?" the question, "is a hot dog a sandwich?" is one of the greatest philosophical inquiries of our time. It's a source of cultural contempt, a puzzle of logic, and a pick-up line far more effective than "what's your sign?" 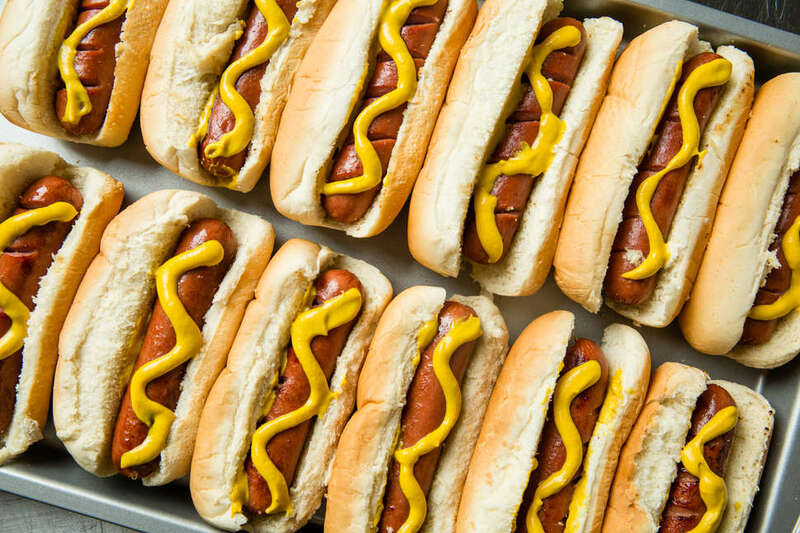 The hot dog-sandwich debate has bounced from internet chat rooms to meme-accounts and heated digital media campaigns since sometime around 2011, polarizing hot dogs fans across the nation. And throughout the years, we've gotten no closer to arriving at a definitive answer... until now. The team at Oscar Mayer, the corporate wiener kings, has finally weighed in: As they see it, a hot dog is, in fact, a sandwich. Before you begin drafting your hate mail, know that Oscar Mayer is fully aware that this is a controversial claim -- so much so that they've created a hotline, open for just 24 hours, for passionate consumers to call in and attempt to change their minds. The hot dog hotline, which launched Thursday morning at 9am and will remain open for the next 24 hours, encourages folks to actually pick up the phone (there's no texting involved) to voice their hot takes on the frankfurter deliberation. After dialing the toll-free number, 1-833-SNDWICH, callers will hear the delightful, kitschy melody of the classic Oscar Mayer Wiener jingle, a tasteful throwback to the storied era of the ringback tone. Next, each participant will verbally agree to allow Oscar Mayer permission to use their commentary on social media, before leaving a message detailing their passionate pleas. "The dictionary defines a hot dog as a sandwich consisting of a frankfurter in a split roll," says Gregory Guidotti, Oscar Mayer's head of marketing. "I was an English major as an undergrad, so I'm taking the contrarian view that it is a sandwich, because it really aggravates people in the office here." In part, the hotline serves as a marketing ploy -- the good folks at Oscar Mayer recently nixed a number of the more vile ingredients included in their hot dog recipe (think artificial preservatives and nitrites). But regardless of their intentions, the impact remains: a final airing out of the great hot dog-sandwich debate. It's highly unlikely that we'll get an answer once and for all, but at the very least, this will give us all a little more material to draw from. And while you're at it, give "is a hot dog a sandwich?" another shot as a pick-up line. The odds are in your favor.